sutekii: Hi karma I have found this pic, even though his not holding a candle I guess it’s close? Anyway, I forgot how much I loved this chapter. Long Fei and Feng Ning are way too cute when they bicker. And of course there’s always Feng Ning’s child-like attention span that ruins any kind of mood. Anyway, thank you everyone for being so patient with me, enjoy the ensuing cuteness~! Disclaimer: This chapter have been translated by karma. Long San couldn’t make clear of what his feelings were exactly, he just sat there by the bedside, quietly watching Feng Ning. Watching, watching, suddenly feeling, why did it seem like she got somewhat thinner? It shouldn’t be ah, she had only gone for three days, no matter how hungry she got, she shouldn’t have gotten so skinny already. It must be his own misconception. As he sat there dazed, staring directly at Feng Ning’s face, she abruptly opened her eyes, the two of them, looking at each other, both got a sudden fright. “Did you have a nightmare again?” Long San quickly asked, covering up his own awkwardness. “Hungry?” Long San stared at her astounded, he was suffering from all these frustrations, but this woman is actually able to fall asleep thinking of food. “En. So hungry, I woke up.” Feng Ning curled her lips, after waking up she felt increasingly hungry. Feng Ning was disappointed beyond words, she thought for a while, suddenly her eyes flashed: “Long San, let’s go to the kitchen.” Before she even finished speaking, she had jumped out of bed and started getting dressed. “En.” Feng Ning forcefully nodded; this appearance of being in great spirits, how is it anything like someone who is extremely tired, and made a fuss of wanting to sleep? “Just heat the leftovers and it should be fine.” Feng Ning already finished dressing, pulled Long San along and ran outside. “But I’m so hungry, so hungry it’s painful. In the temple, knowing there’s nothing to eat, I endured it; but at home, I still have to endure?” Feng Ning’s pitiful appearance, Long San’s heart was shaken by her words “at home”; she regarded this place as home ah. The minute he got lost in thought, he was pulled into the kitchen by Feng Ning. 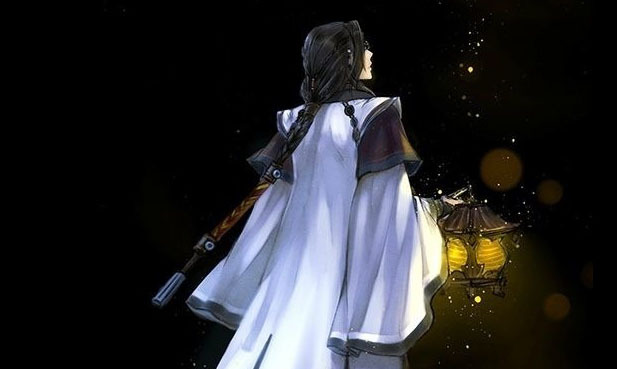 There were no lights inside, in the darkness it was impossible to see the fingers of an outstretched hand; don’t know from where, Feng Ning found a candle and lit it, as though proud of her achievement, she shot a smile at Long San. “Yes, San Ye.” Feng Ning answered energetically, grabbed the flint stone and started a fire on the stove, busily hurrying around joyfully. Long San cleaned his hands, grabbed the flour and rolled it into a small lump of dough, and set it to one side to soften, then set about to beating the eggs; he turned his head and took a look at Feng Ning in the middle of blowing hard to assist in lighting the fire on the stove, on her face a black smear, her earnest and serious expression actually looking exceptionally adorable. Feng Ning raised her head high: “Naturally, my husband made it, so it must be delicious.” She finished speaking, saw some green onions poking out from a vegetable basket, and hurriedly ran over, leaving Long San by himself feeling deeply moved by her words “my husband”. “Long San, Long San, there’s green onions.” Feng Ning ran over, with a handful of green onions and placed it onto the counter: “Add this in, it’s fragrant.” She finished speaking, then ran off again. “Right, got to be quiet. 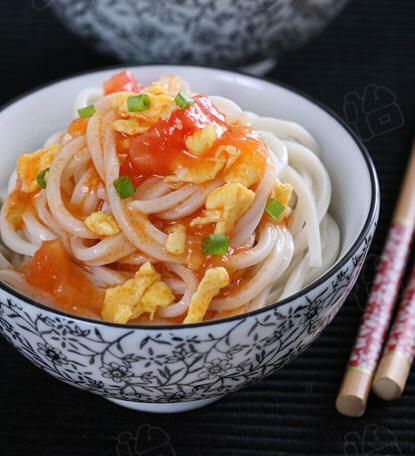 If others were to come, these noodles won’t be enough.” Feng Ning earnestly nodded. Long San really didn’t know whether to laugh or cry. Alright then, actually, in her heart, food is still the most important ah. Whether he’s good-looking or not, distressed or not, she simply doesn’t take it to heart. The more she shouted, the more Long San put into his own bowl, Feng Ning was extremely anxious, finally, Long San couldn’t bear to continue teasing her, and stopped his hands. Feng Ning looked at her bowl, then looked at his, confirmed that this bowl had more, only then muttered, and began eating again. Long San never knew, the noodles he made could be this tasty, he often traveled throughout JiangHu, made some food, washed some laundry, taking care of his daily needs naturally was no problem; but this was the first time he ate such good noodles, no wonder Feng Ning ate until her cheeks were puffed up, a face full of satisfaction, this let Long San feel rather pleased with himself. Long San looked at her simple smiling face, and suddenly thought, how great would it be if she didn’t regain her memories. Long San dropped his gaze, restraining from telling her the stolen item was a fake, in actuality, they aren’t looking to find the treasure, but to find the criminal behind it, dig out the other side’s purpose and truth. Actually, sending her back to the Feng family, would be useful for the other clue. “Feng Ning…..” He really didn’t know what to say. Long San opened his mouth a few time, finally remained silent, what she said was true, it would happen sooner or later. “It didn’t say I couldn’t. I thought it was left for me ah?” Long San easily and calmly lied. 嗯 en — Read as uhn/un as in nun. It’s basically a sound used in many different ways, but often used like ‘mm’ in English. Anyway, I decided to use ‘en’ instead as ‘mm’ doesn’t work for everything. 以小人之心度君子之腹 yǐ xiǎo rén zhī xīn duó jūn zǐ zhī fù – “Measure the stature of great men by the yardstick of small men”. A phrase basically meaning people with narrow minds, guessing the minds of good people with their narrow-minded views, when in actuality, it is not meant in that way. 休书xiū shū – certificate of divorce; In olden times, it was a letter more often than not written by the husband given to the wife to divorce her. “Right, got to be quiet. If others were to come, these noodles won’t be enough.” Feng Ning earnestly nodded. <— lol had me laughing at Feng Ning, I have forgotten how cute and adorable she is. That would be a great help if you could *v* hahaha. I rely on you too much <33 thank you!! I agree, Feng Ning is ridiculously adorable. I don't understand how anyone can resist her charm hahaha. Well our male lead is finding it hard to resist her now that he had time apart from her to realise how adorable she is. Thanks karma.. I’ve been waiting for this novel’s update! Sorry for the slow updates, I’ll try to see if I can update more often. This had me laughing hard. Thank you karma. I have missed Feng Ning so much. Hahaha right? Feng Ning’s quips are just too funny haha. Great! I have been waiting for this post .. Seriously, these two are toooooo cute!! Thanks so much for this entertaining chapter. I love how Long San is falling for her, but is a bit too stubborn to admit it. This is such a cute story. Thank you very much.What a cute and interesting OTP.Looking forward for the next chapter. You’re welcome, I will update when I can! hehe isn’t she? I love her snappy personality and responses haha. Whoo hoo! You’re back! Thanks for the new chapter. Feng Ning has been missed. Sorry for the late reply !! I’m sorry for the slow updates, I’ll try to translate a new chapter soon, hopefully! How cute!!! cooking in the middle of the night for his wife!! Thank you so much for the updates, can’t wait to see the mystery has been solved. Is it still a long way to go? Yes, there’s still a lot of time before the book reveals the mystery, but you might be able to solve it before it’s revealed as we go along. i miss Feng Ning and Long San already.. Thank you so much! I’m glad, I hope the translations make sense haha. I started reading this last night and i was so caught in the story that I had to finish all the chapters. So it’s 6 in the morning and i’m looking at the date this was last updated(4 months ago) and i need to ask, will this story continue being translated? Is there any other site where I can read this? Hahaha, I know what you mean, I did that for this novel when I started reading it too haha. and yes, I do plan on continuing, so sorry for the long hiatus. I’m planning on updating it during my Spring break which is coming up in about a week. Thanks for the translations, I really enjoyed it. Feng Ning is honestly one of my favorite c-novel heroines right now, her shamelessness is adorable. I just can’t help squealing seeing how she affects Long San. Even though he’s constantly angry, I think he’s just frustrated that he’s falling for someone he knows he shouldn’t. Although the mystery is taking a backseat to the romance, I really don’t mind because I’m equally as invested in the charming OTP. I’m just really glad there’s no love triangles here. In the beginning when Long Er comes up, I really thought they might be in some sort illicit affair. Reading c-novel translations is really inspiring me to learn Mandarin. I’m a Chinese but my language skills are limited to only listening and speaking it. I hope I’ll be able to master the language properly soon and spread the c-novel love by translating like you did! I found this website recently when I was searching for ancient novels. I was so happy and finished reading your translations in one night!! Thank you for translating this wonderful book and sharing it with the rest of us! I commented on the previous chapters on the other site. Oh well…! Anyway, this chapter was super cute! Ahaha, long san’s been thinking about whether to send her back to her family home/divorce her, but when feng ning herself asks for it, he refuses! What was that saying? Meals taste better when eating with someone? Really applies to long san, huh? And feng ning, too! Feng ning is as adorable as ever!